Fetch some hot fun with these five adorable finds for dogs and cats. It’s time to fetch some hot fun in the summertime with your favorite furry friends. These five finds for dogs and cats make it easy. The Cat Ball Watermelon Cat Canoe ($35 at The Handmade Showroom, downtown; Denny’s Pet World, Kirkland; The Whole Cat and Kaboodle, Redmond; and catball.com). 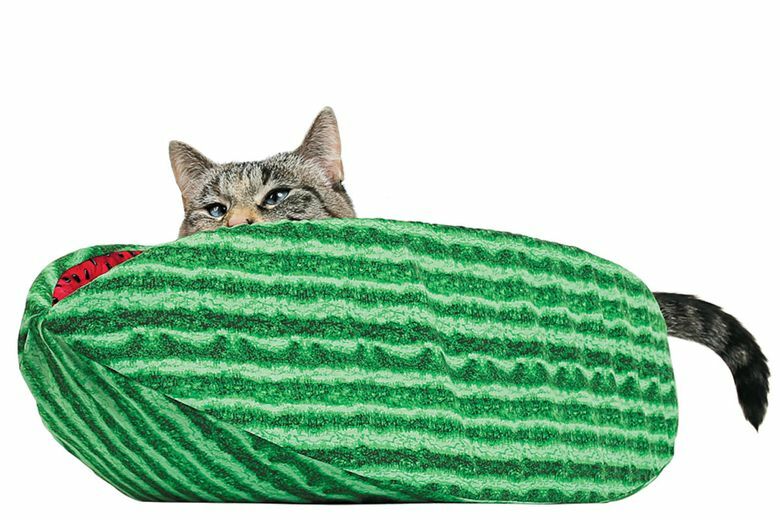 This cozy cotton cat bed out of Bellevue looks like a slice of watermelon, and provides a comfy nest and endless summer photo ops. 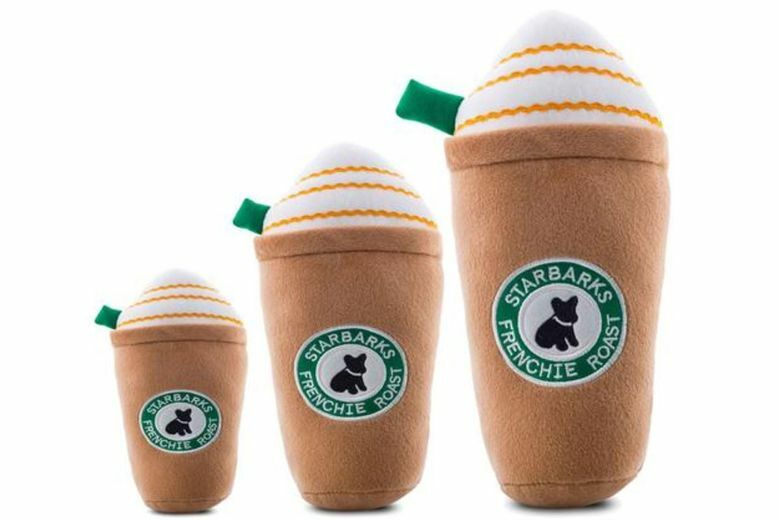 Haute Diggity Dog Starbarks Frenchie Roast Toy with Straw ($16–$21 at amazon.com and at B.I. Barkery, Bainbridge Island). Love your dog a latte? Get him his own! This plush parody squeaky toy makes a clever gift and conversation-starter. Available in three sizes. Pet Qwerkes Toys Doggy Incredibubbles ($3.50 at chewy.com). 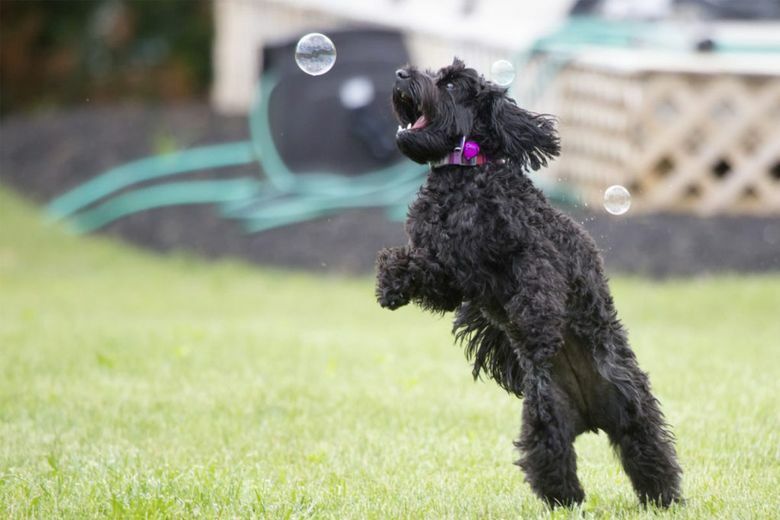 Park time is even more fun as you watch your pup chase, catch and bite these long-lasting, peanut-butter infused bubbles that are nontoxic and safe for pets (and kids — they’re allergen-free). 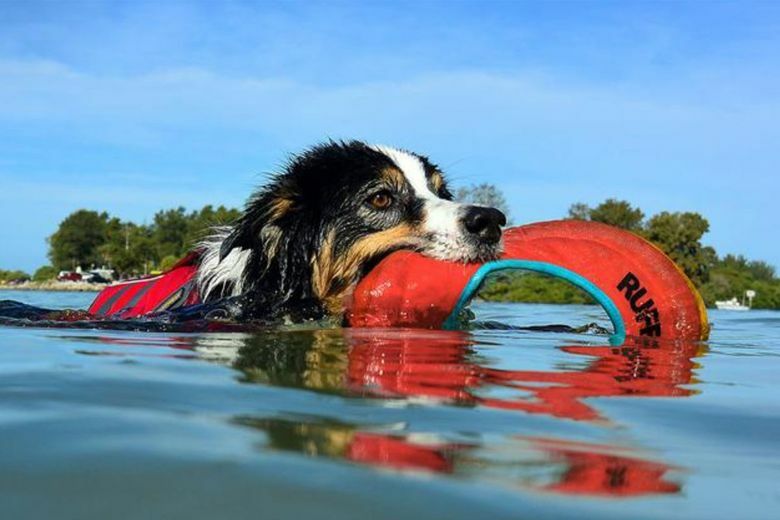 Ruffwear Hydroplane Floating Throw Toy ($25 at ruffwear.com). Play fetch at the lake, or in it, with this soft, floating foam disc designed in Bend, Oregon, for easy retrieval and visibility. About Face Designs Free Kisses Dog Bandana ($9.25 at NW Art & Frame, West Seattle). 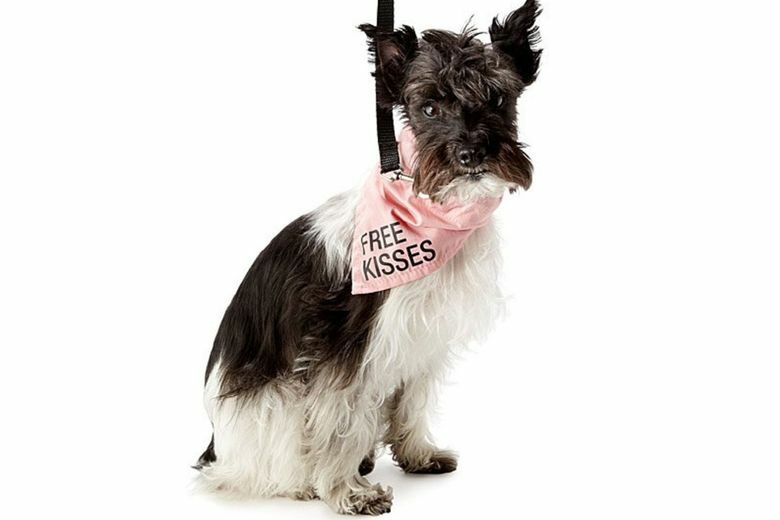 Your pup will be the hit of music festivals in this pretty pink cotton bandana that ups the ante from free hugs to free kisses. A stitched-in sleeve keeps it secured to a collar.